Solve the 20 addition problems with sums between 6 and 10. Write the correct score at the top of the page. 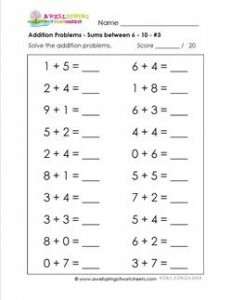 Please go to this page to see all the addition problems worksheets in this set.